It is with a very heavy heart that I write this post. 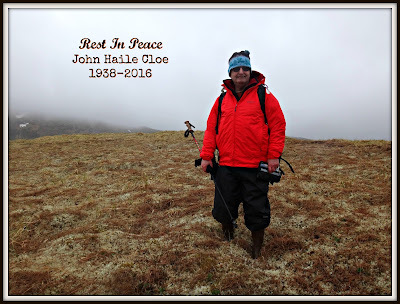 Retired Colonel John Cloe, my friend, mentor and irreplaceable source of knowledge for all things Air Force history in Alaska, passed away suddenly last week. 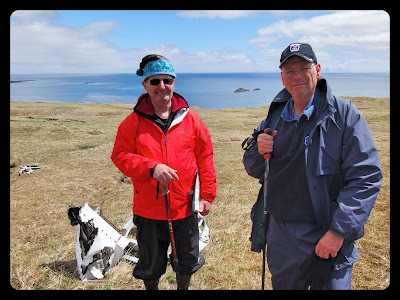 I met John several years ago when he was slated to be our tour guide for the 2014 World War Two Aleutian Islands historical tour. You see, John, along with Valor Tours, is the one who created this unique excursion through the remote and largely unknown battle sites along the Alaskan island chain. That year, our sea chariot, the 72ft M/V Puk-Uk, suffered a mechanical issue just days before departure resulting in the cancellation of the trip. 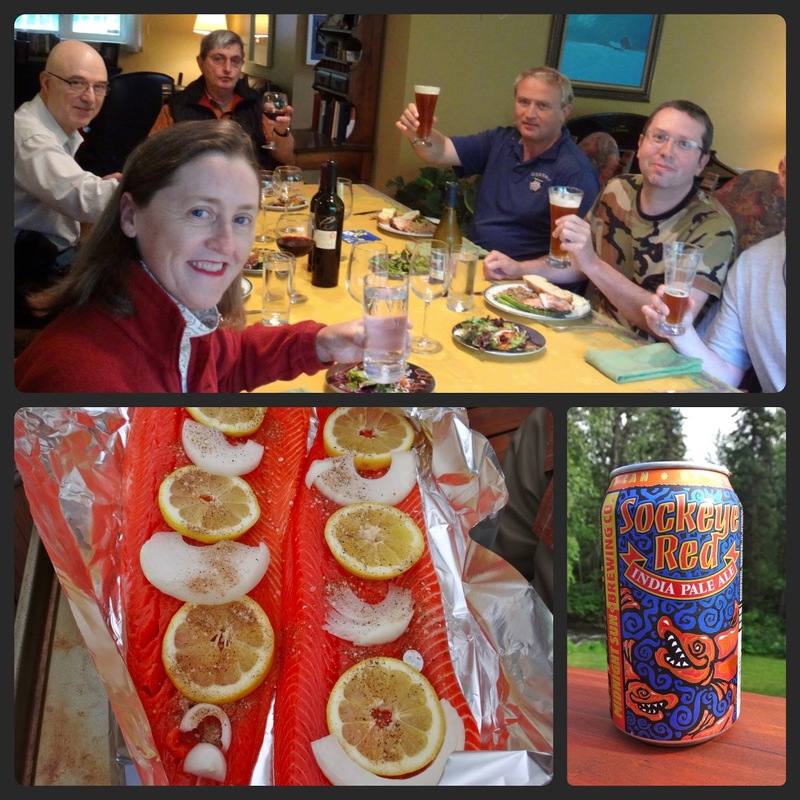 As compensation, for those still willing to fly up to Anchorage, John offered to take us to different war related historical sites around the area and host us to dinner. Since then, John has always been open and available to help or answer any questions I may have had along the way. He has given me advise and most importantly, support in my own efforts to research and bring awareness to the history of the Aleutian Campaign. John and I still had some unfinished business we were working on which I will now pursue more fiercely, in his honor. Dinner is served at John's house. Fresh salmon of course! I still make it the same way thanks to Susan and John! 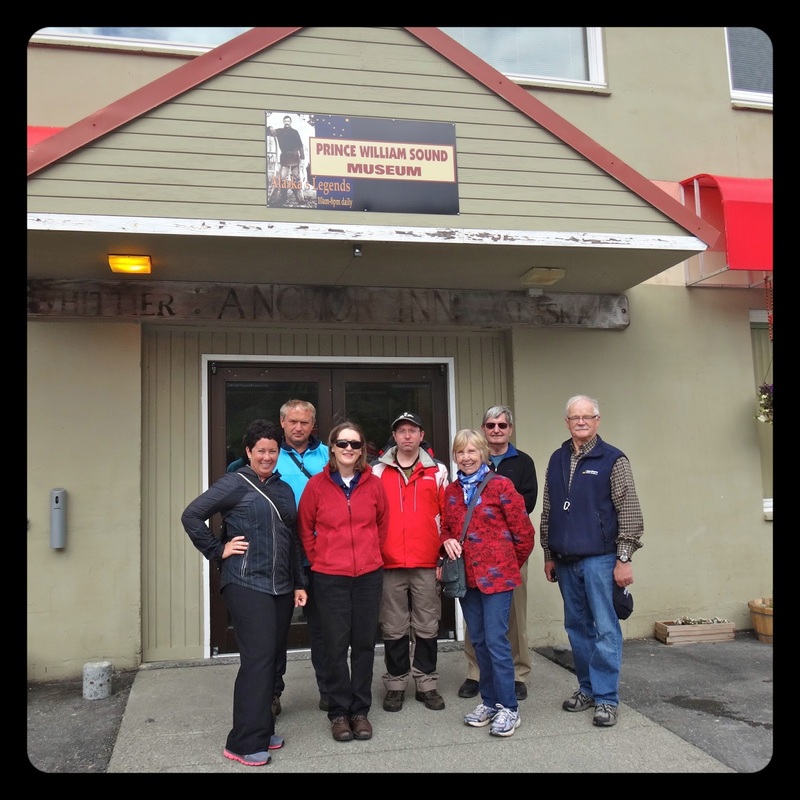 2012 crew outside of the very well done Prince William Sound Museum in Whittier, Alaska, a main port during WW2. How fortunate we were to have John guide us during this summer's tour where we got the pleasure of experiencing many firsts with him; his first time seeing the Coast Guard C-130 crash site on Attu and his first time landing and exploring the island of Umnak, where the U.S. Army Air Force had their most advanced base when the Japanese first bombed Alaska in 1942. The Umnak excursion just happened to be the highlight of John's trip and he pushed to get there because he knew it was an important stop for me. And in fact, we had planned to go back there one day... I will forever be grateful to him for this opportunity. My grandfather with the RCAF alongside the 11th Air Force were stationed there during the campaign. Atop Ballyhoo Mountain at Fort Schwatka, a WW2 U.S. Army base in Unalaska. This was the last day of the 2016 tour. 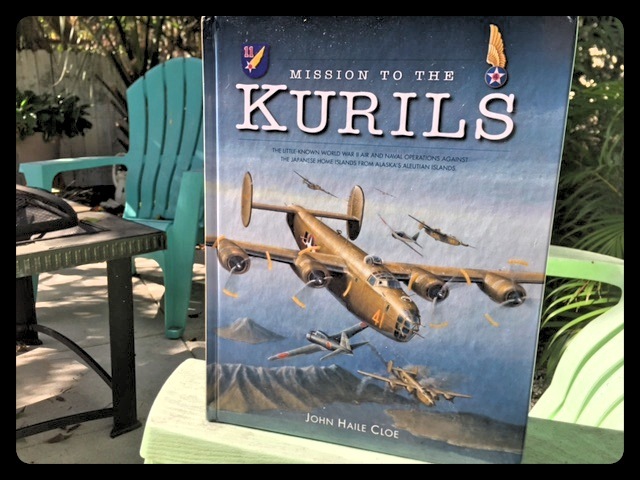 Just months before John's passing he released a new book, a long time in the making and another labor of love, titled Mission To The Kurils. This, as he put it, is the second part to his first book, The Aleutian Warrior, which was released in the early nineties. This new hardcover educates the reader on the WW2 Naval operations against the Japanese home islands that were launched right from the Aleutians. I know how happy John was to finally have this project finished. You can find it on Amazon although the last time I checked it was unavailable. I do know you can also purchase it from Todd Communications. I feel incredibly blessed to have known John and lucky for me, I had the chance to tell him that. I assured him that I would try my best to continue on with the work he has so passionately dedicated his life to, although I will no where come close to what John has accomplished, as he was truly one of a kind and has done an immeasurable amount to ensure that the history of Alaska's military efforts are not forgotten about. On behalf of veterans and the families of the veterans who served there, rest in peace John. We will surely miss you this summer and many many days in between. Below, you can read more about John's legacy written by the Funeral Home where his service will be held on January 21st, 2017 in Anchorage, Alaska. "Author and military historian John Haile Cloe, 78, passed away at his Lower Hillside home on Dec. 26, 2016, after a brief illness. His wife Susan and family were at his side. Born in Fredericksburg, Virginia, John graduated from Virginia Military Institute in 1963 and went on to serve 29 years in the U.S. Army. He served two tours of combat duty with U.S. and South Vietnamese Infantry units in Viet Nam, then became an Air Force civilian historian and retired as a colonel in the U.S. Army Reserves in 1992. 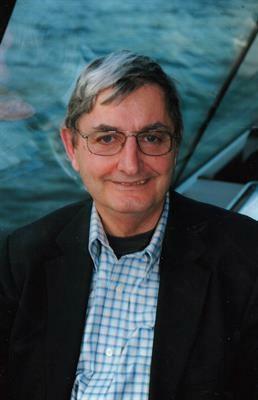 His many writings include a series of highly regarded military history books. When Virginia Military Institute was notified of his passing, a VMI official said: "John was the most decorated member of his class," an aspect of his distinguished career that the unassuming man never mentioned. Among his honors John received 10 Air Force level awards and was the Alaska Historical Society's Alaska Historian of the Year in 1992. He won the society's Pathfinder Award in 1988 and the American Aviation Historical Society's Author of the Year Award in 2004. John won the Air Force Wing Historian of the Year Awards in 1976 and 1994. In 2003 Brig. Gen. Robertus Remkes cited John for 40 years of dedicated service to the nation. He was also awarded the Air Force Association's Exceptional Service Award and two Medals of Merit for his documentation of Air Force history in Alaska. John's books include Top Cover for America: The Air Force in Alaska, published in 1984; The Aleutian Warriors, a History of the Eleventh Air Force and Fleet Air Wing Four, which was a comprehensive book about the Alaska Theater of World War II published in 1992; and Mission to the Kurils, an account of the arduous but little-known World War II air and sea operations by American bomber crews against the Japanese Home Islands from Alaska's Aleutian Islands. 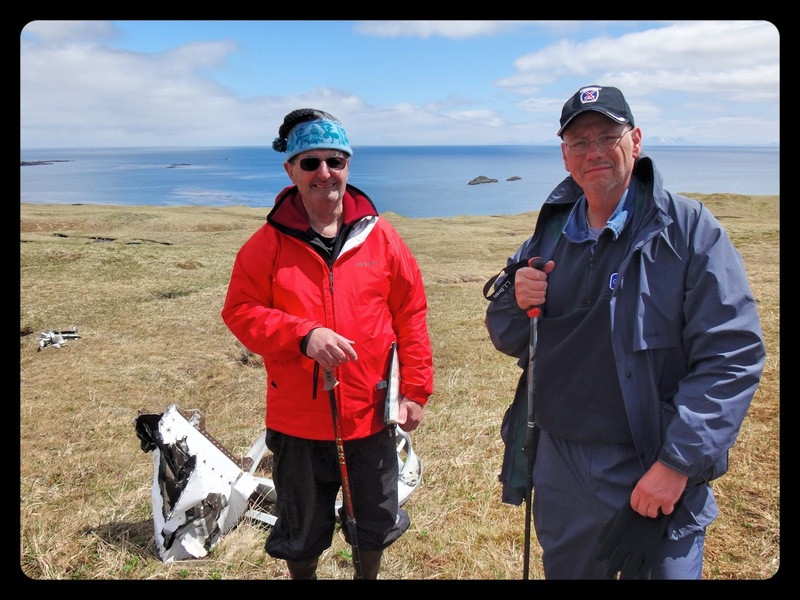 Mission to the Kurils was published in 2016. He also wrote a book about one of the projects he championed, the recovery and restoration of a P38 fighter plane from a crash site in Temnak Valley on Attu Island. The book was entitled Saving The Lightning. The restored fighter is now on display at the Elmendorf Aviation Historical Park on Joint Base Elmendorf Richardson. John's friend, military colleague and fellow author Ted Spencer, retired executive director of the Alaska Aviation Heritage Museum, said John Cloe was a champion for the military heritage in Alaska. 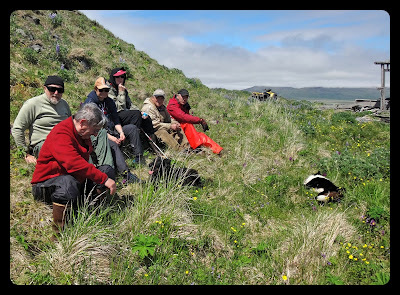 John also wrote a book, Attu, the Forgotten Battle, which will be published by the National Park Service in support of the National Historic Monument on Attu Island, which is owned and managed by the U.S. Fish and Wildlife Service. Over the years John produced more than 40 histories and studies, many of them classified, covering the Cold War In Alaska. 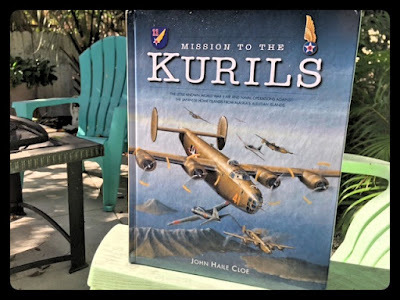 In a review about Mission to the Kurils by Mike Dunham of the Alaska Dispatch News, Dunham noted that the 2016 book was the first history of the little-known war fought by American bomber crews flying from Aleutian air bases to attack targets in the Japanese Home Islands. In a news article about his passing, Dunham wrote that John's "encyclopedic knowledge of the military history of Alaska made him the leading expert on World War II in the territory." In 1970 John was stationed at the Infantry School at Fort Benning, Georgia and, John told Dunham, the air conditioning broke so he "put in for a cooler assignment." 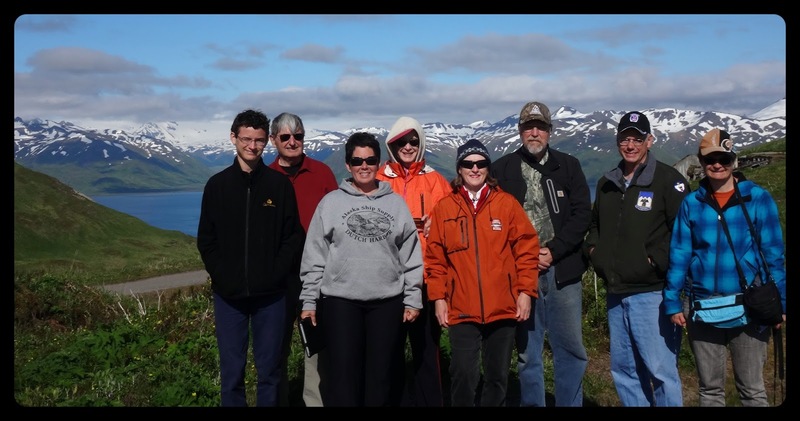 John drove to Alaska via the unpaved Alaska Highway with his late wife Cay and was assigned as a historian at Elmendorf Air Force Base, a position he held until 2006. He made Alaska his home for the rest of his life. John was widowed twice. His first wife, Harriet Catherine (Cay) Hill, passed away in 1992. He then met Jane Slisco and they were married in 1995. Jane died in 2008. John found love a third time with Susan and the two were married in 2011. John's lifelong commitment to the military and its history led him and Susan to visit battlefields around the world. 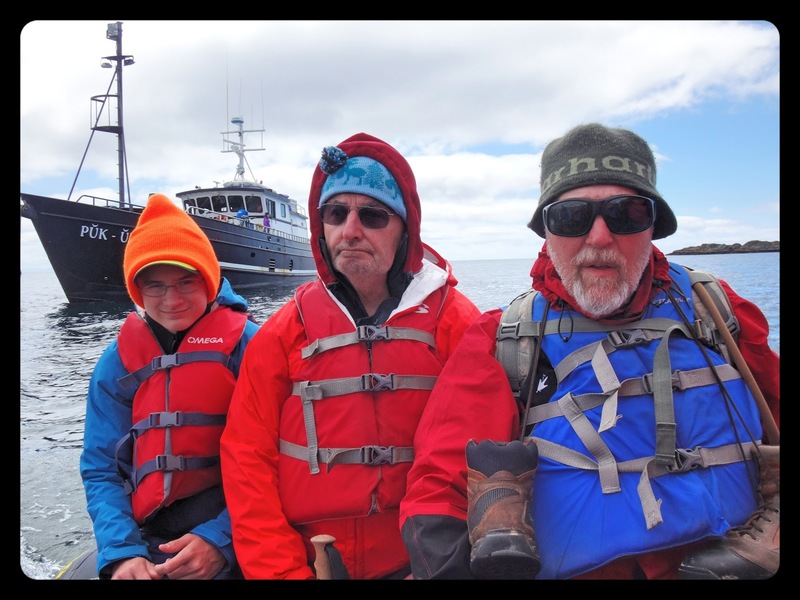 Two of the last four summers he guided groups of World War Il history buffs on tours of sites of historic significance in the Aleutian Islands. John is survived by his wife Susan, stepdaughters and stepsons, Cynthia (Cindy) and Dan Ryynanen of Maple Valley, WA; and Christina (Andrews) and Rob Jennings of Napa, CA; Toms and Kelly Andrews, Christian and Leslie Andrews, and Christopher and Kelly Andrews, all of Anchorage; and step-grandchildren Lucas and Tyler Ryynanen and Susannah and Isabel Jennings, Claire and Gage Andrews, Polly-Faye Andrews, and Lily and Sophia Andrews. Funeral services will be held at St. Mary's Episcopal Church at 3 p.m. on Saturday, January 21, followed by a celebration of life in Waldron Hall at the church. Arrangements are with Janssen's Evergreen Memorial Chapel. Be the first to share your memories or express your condolences in the Guest Book for John Haile Cloe."